Lets Play Kerbal: Season Two Underway! You may remember a little while back on our YouTube channel that Processor Chris had been busy playing lots of Kerbal Space Program. Well, Chris has decided that now is the time to return to space with Season Two of his Lets Play Kerbal videos. In fact, he's well underway so why not check out what he has been up too? The latest video, which was uploaded today can be viewed below. Want to watch all of Season Two so far? We have a playlist for that! Chris shows you how to intercept and capture an Asteroid, from start to finish. Are you ready to boldly go where no processor has gone before? 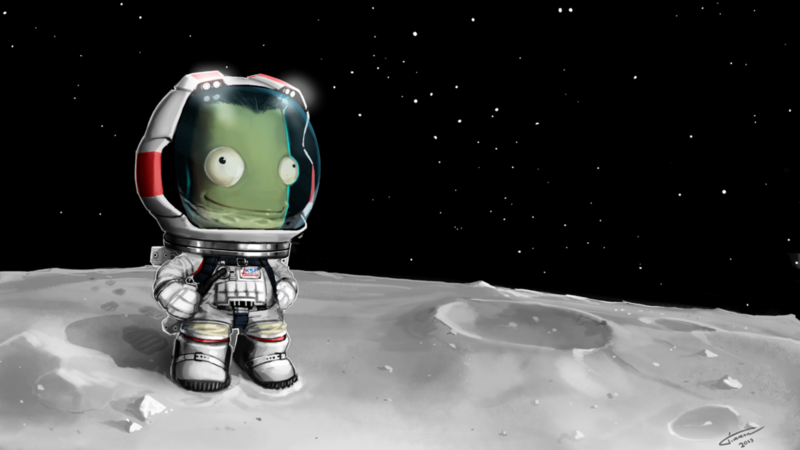 Join Chris as he continues his Kerbal Space Program videos. In a new series he is attempting to tackle the game's career mode, giving himself two goals. The first is to place an object on every moon and planet in the system, which is by no means easy in its own right. His second goal is to gather a number of asteroids and create an Asteroid base (in the words of Chris himself, 'to make any super villain jealous'). And finally, if you'd like to see all Chris's previous exploits in space you can view them all over on his playlist on YouTube, which is embedded...yep you guessed it...below!